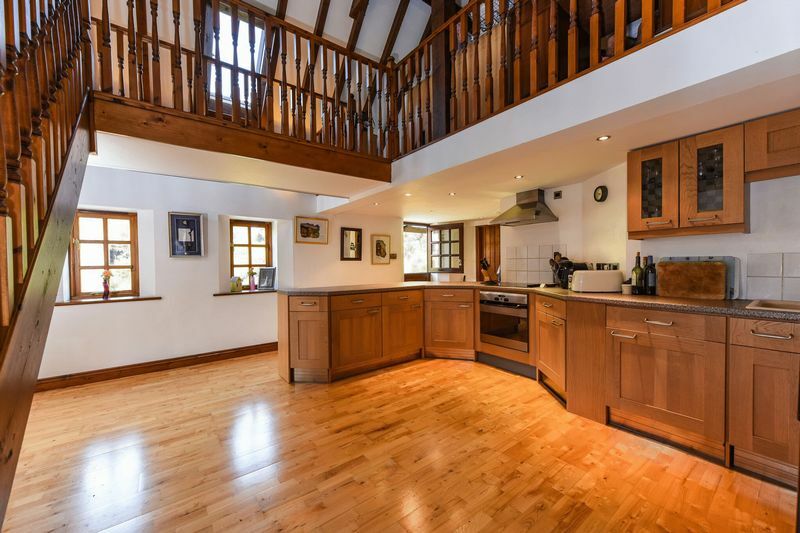 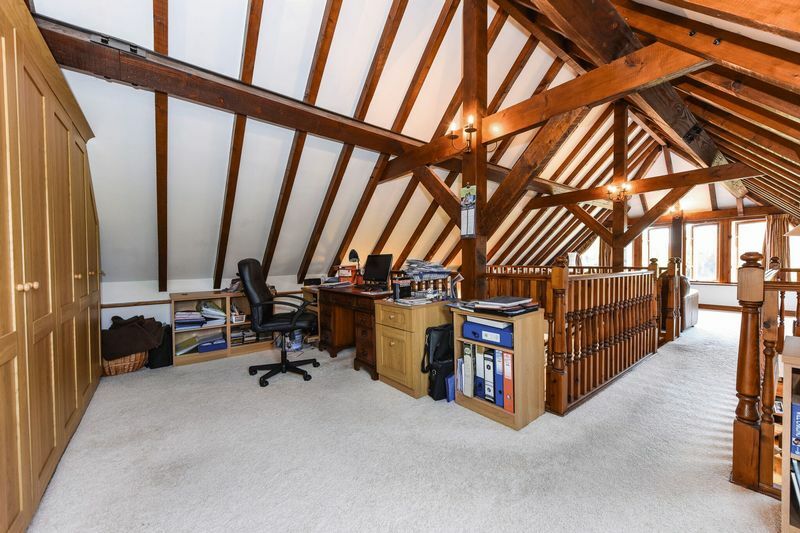 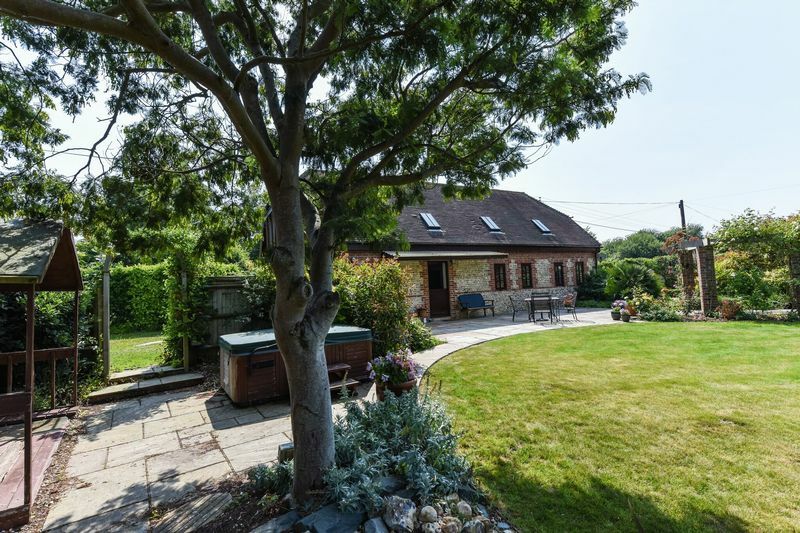 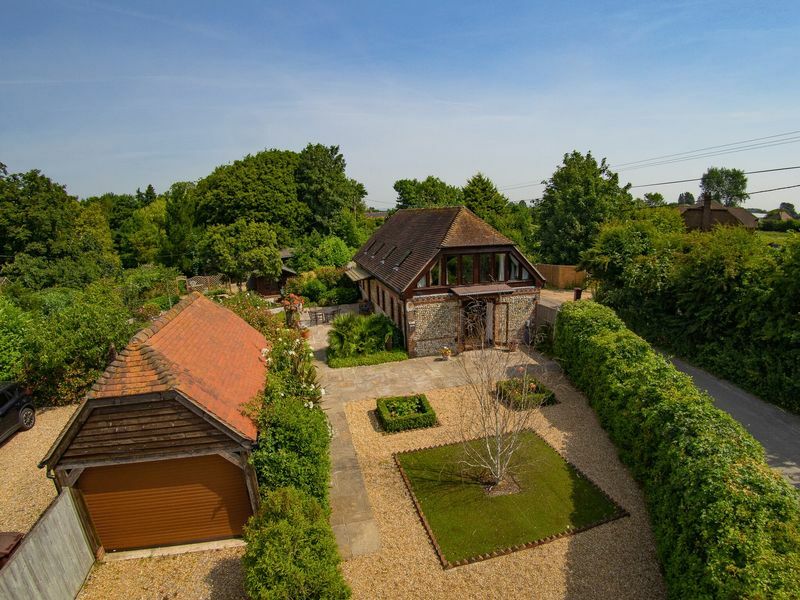 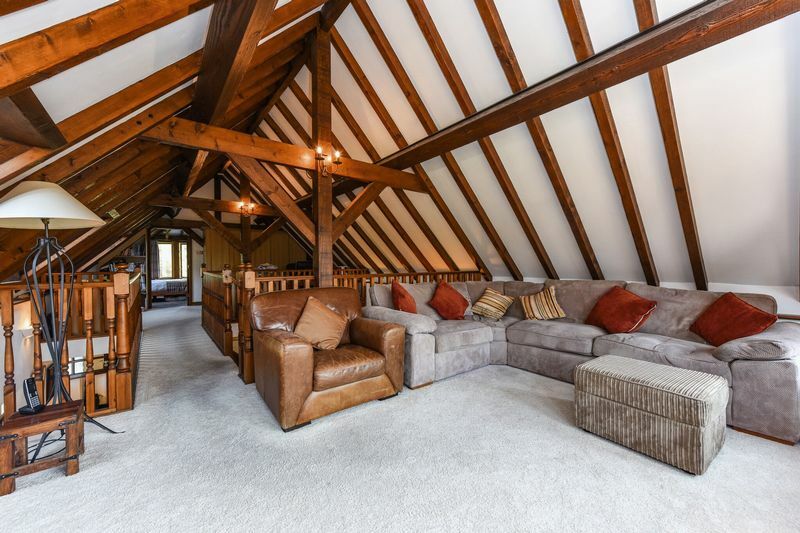 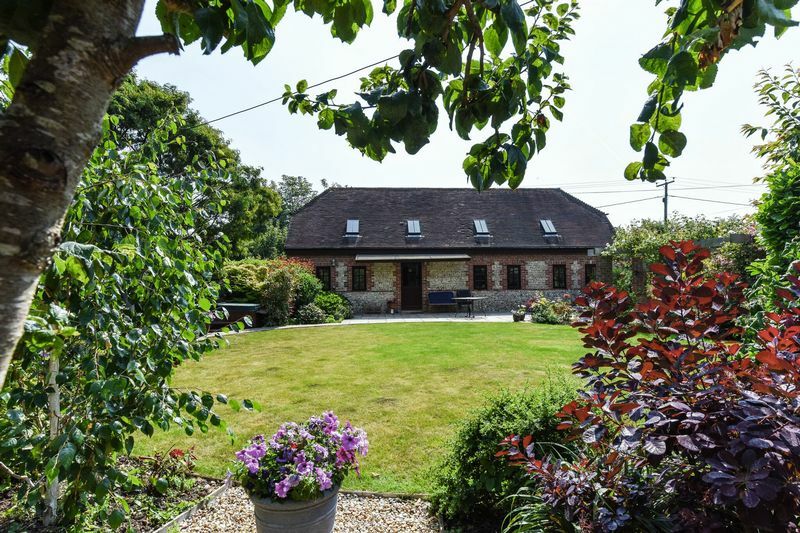 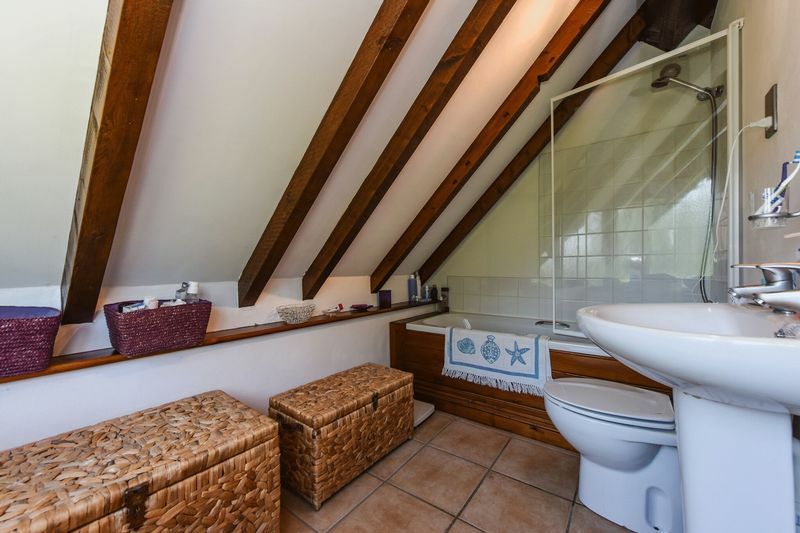 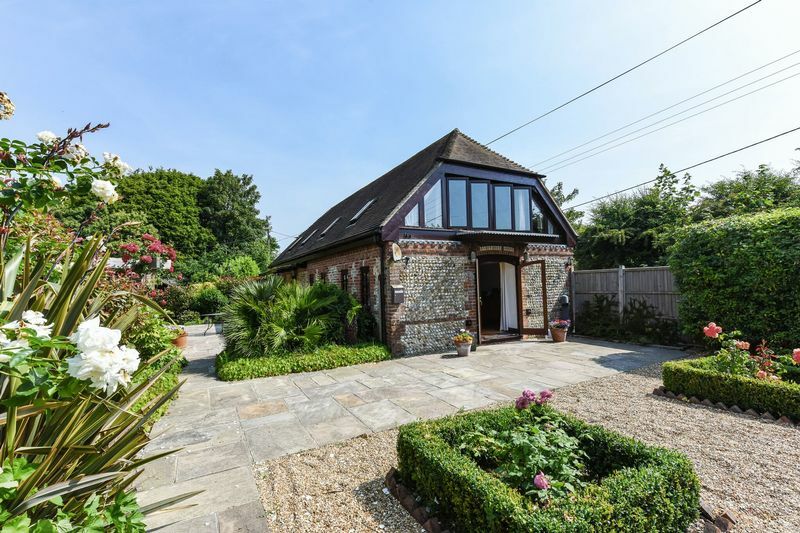 A brick and flint detached barn in a semi-rural location, in a private lane, a little under five miles to the south of the centre of Chichester, and within easy driving reach of Chichester Marina and the popular beaches of East and West Wittering. 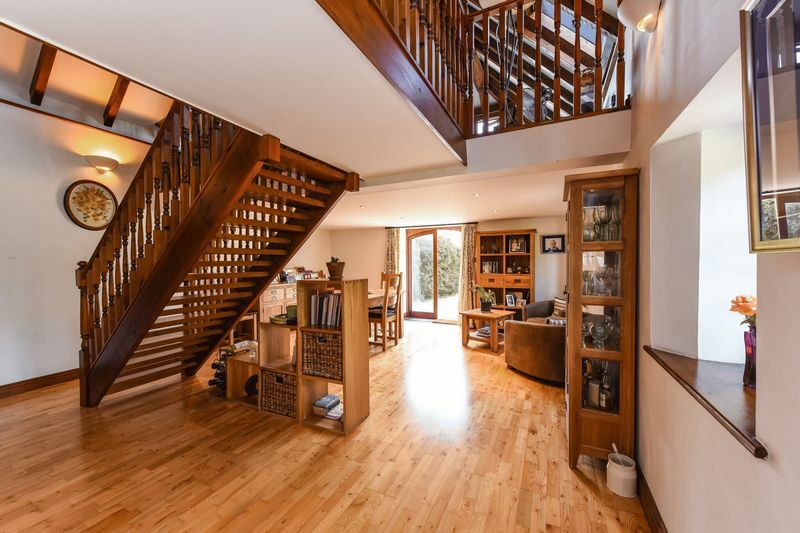 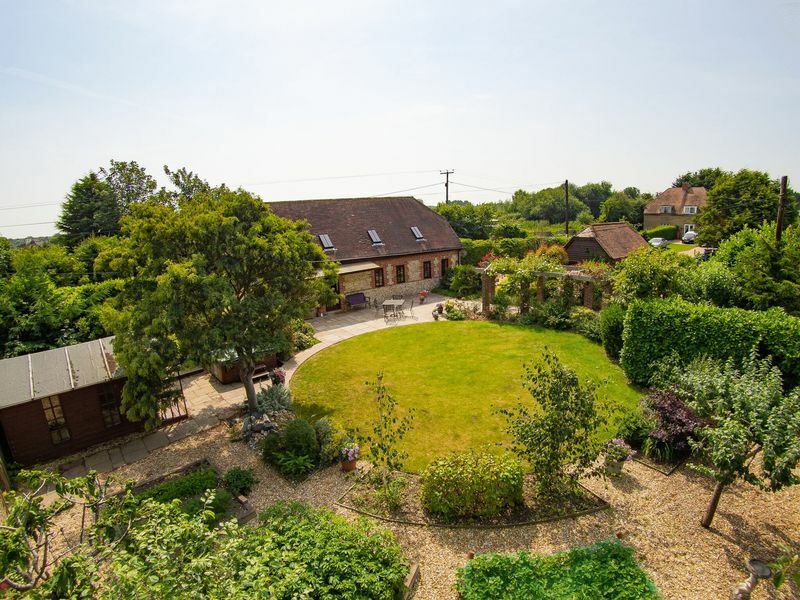 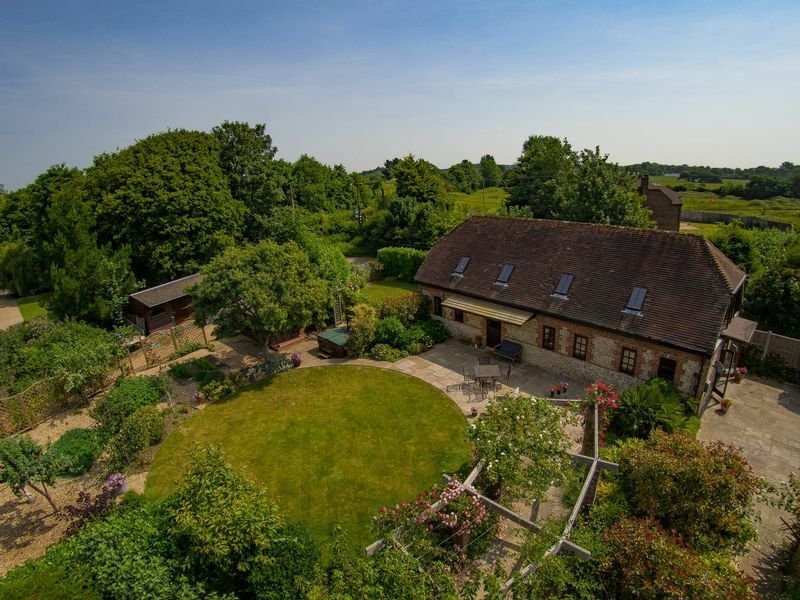 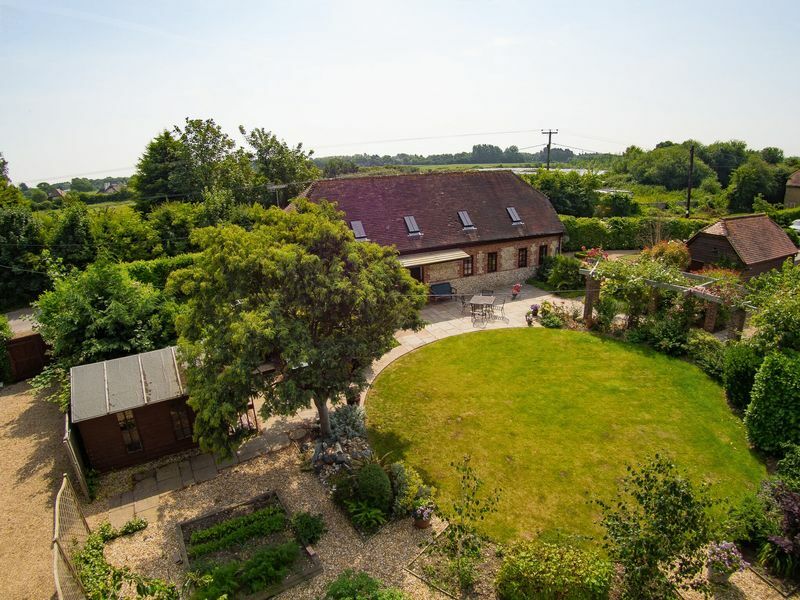 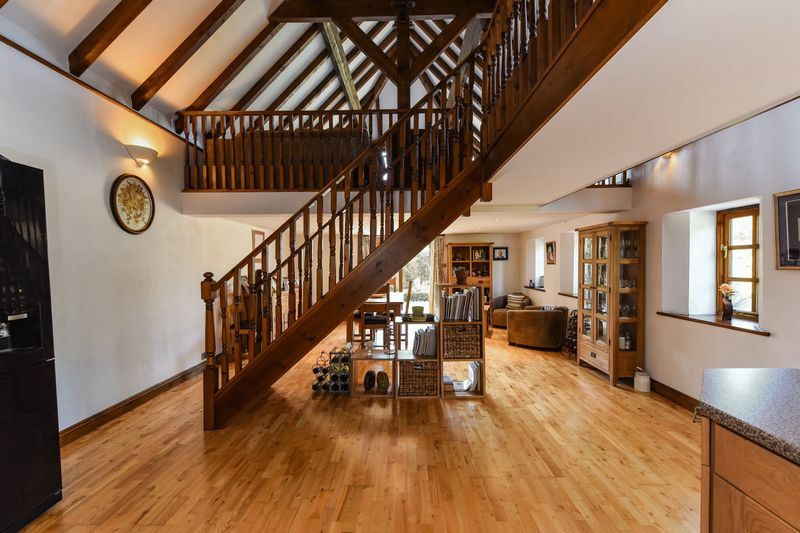 This superb barn was originally converted from farm buildings circa 2000 and now provides a delightful and unique two-bedroom property with a contemporary feel, surrounded by landscaped and well established gardens on three sides. 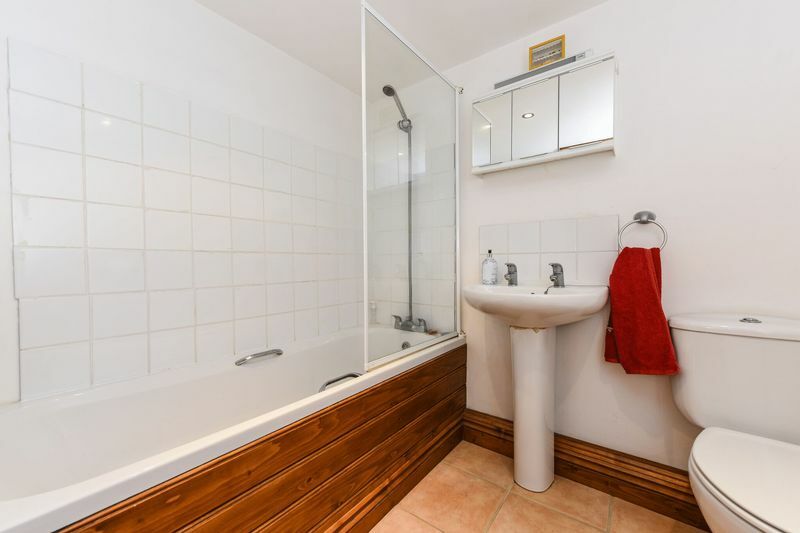 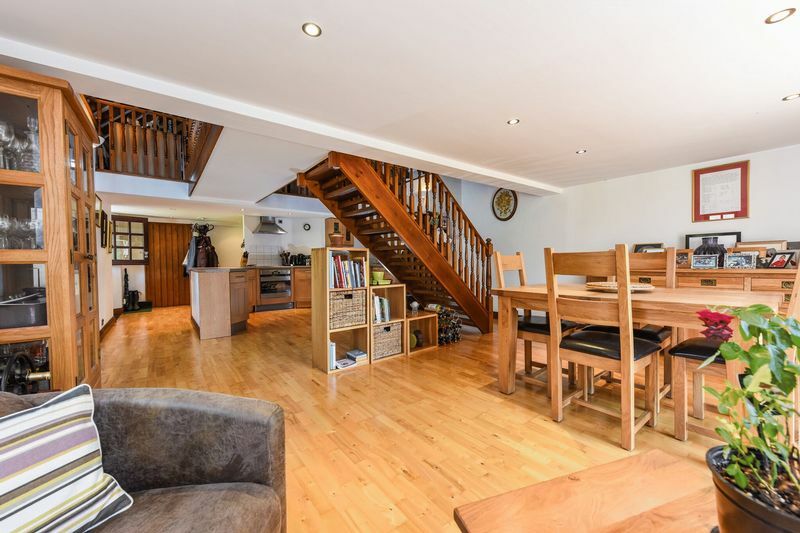 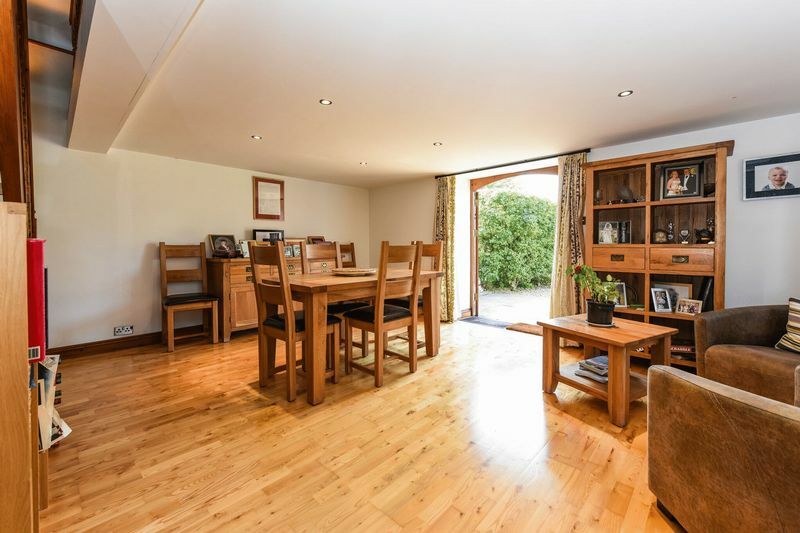 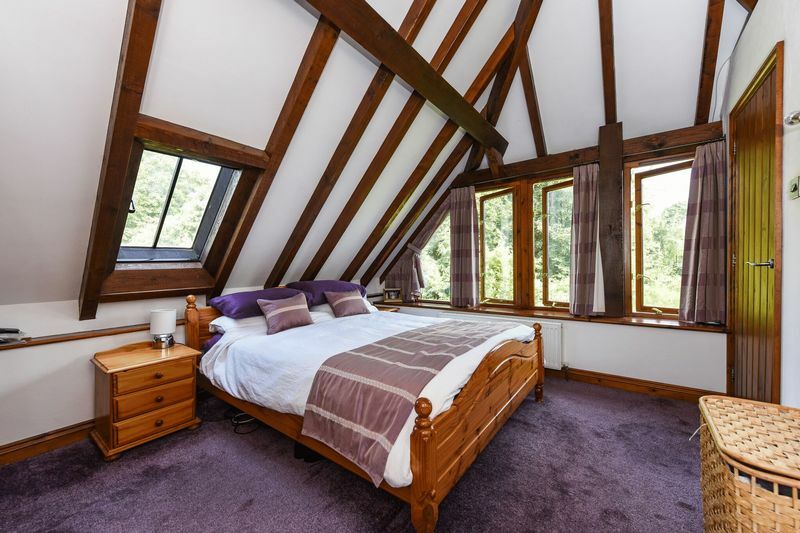 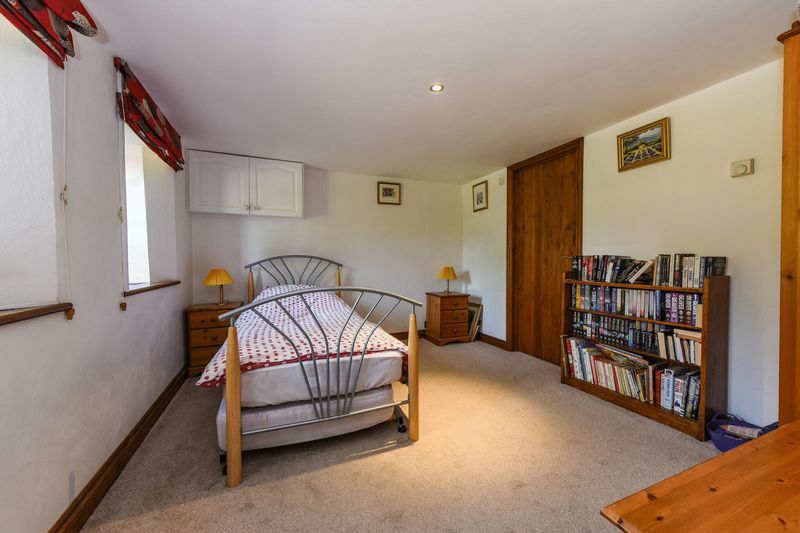 The accommodation comprises a well appointed modern open plan kitchen/dining area and first floor sitting room with large windows along one side overlooking the front garden. 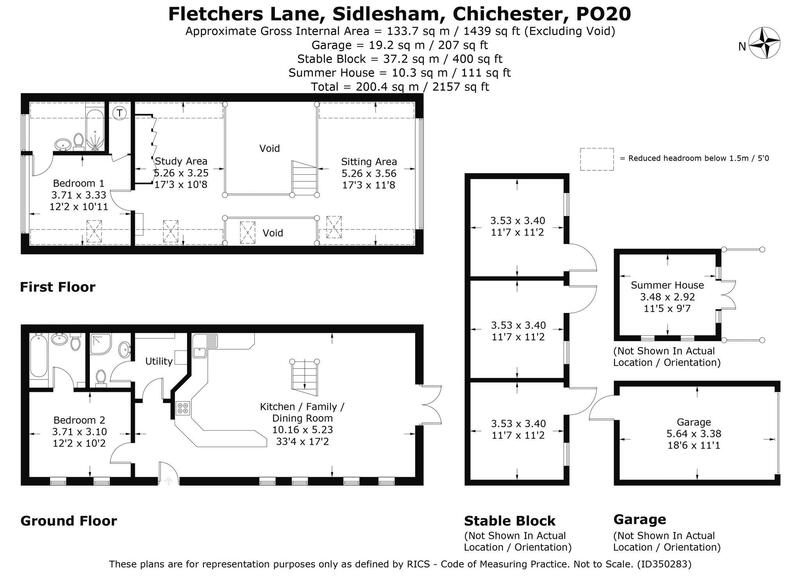 The property benefits from double insulated walls, double glazing and underfloor heating throughout the ground floor. 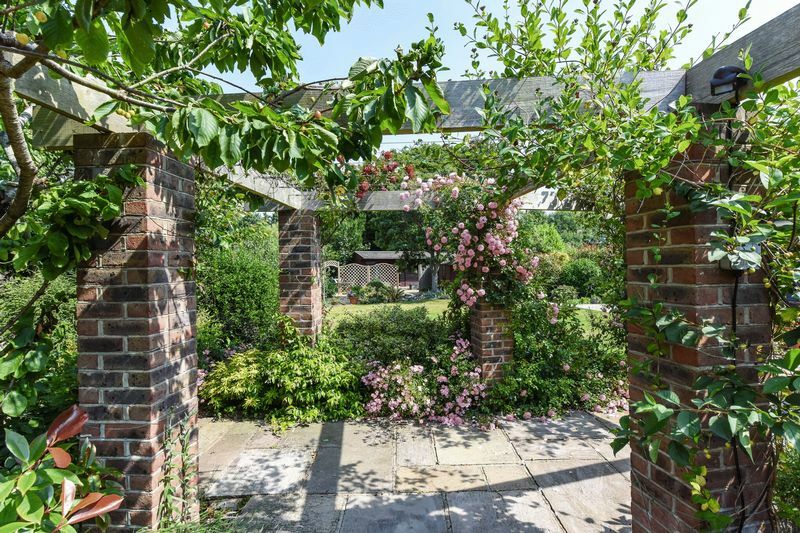 The rear garden has been thoughtfully landscaped and is sheltered by high hedging. 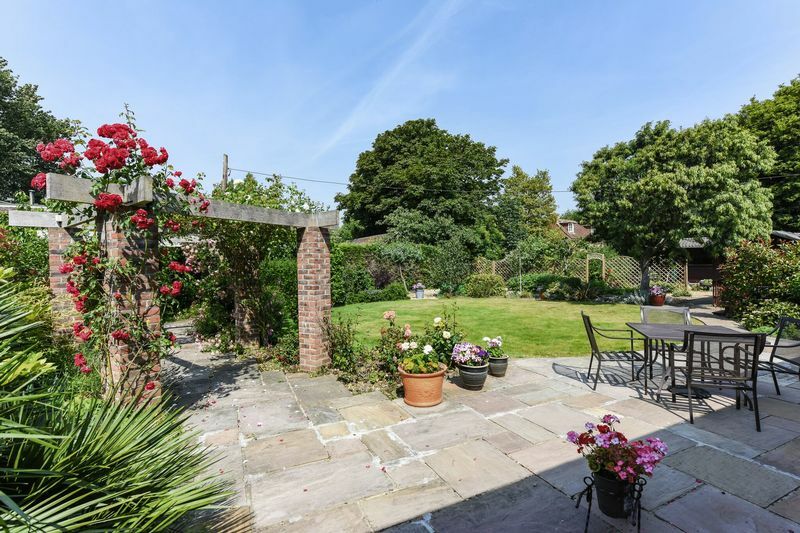 There are also front and side gardens and an ample parking area for a number of vehicles. 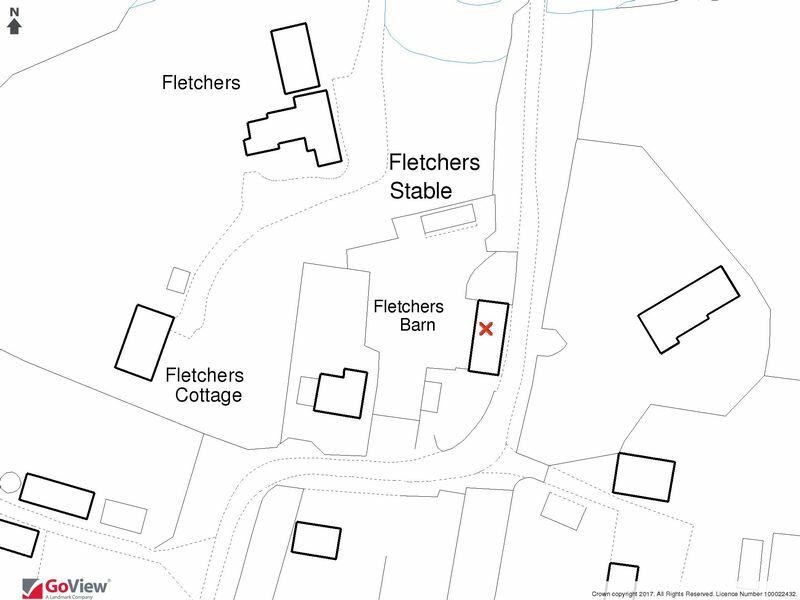 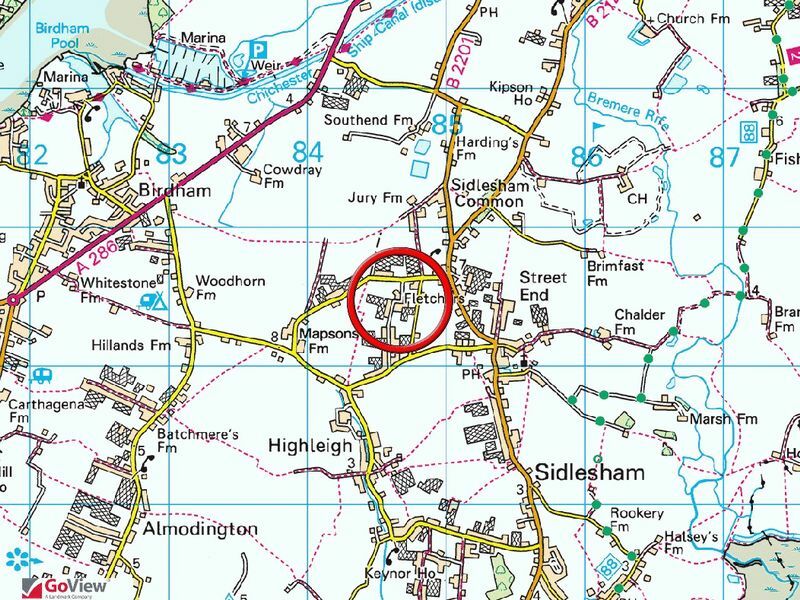 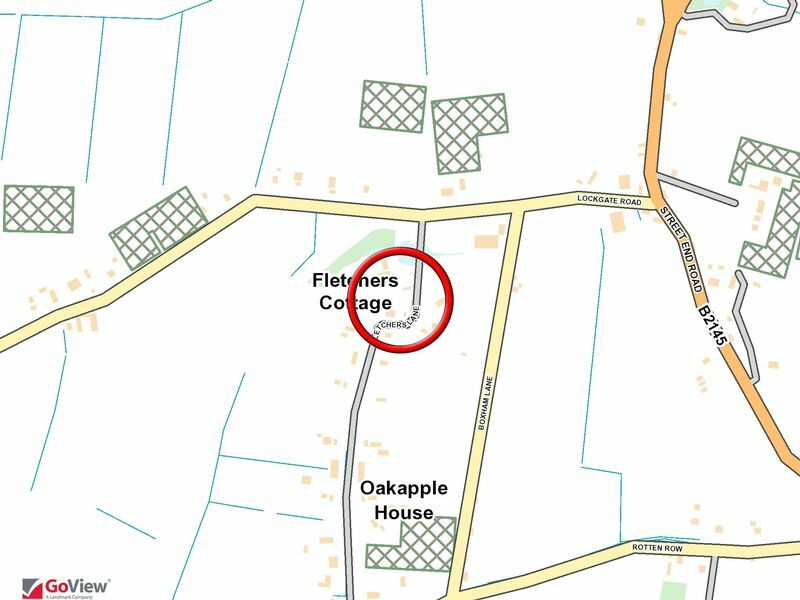 On the edge of the garden is the former stable block known as 'Fletchers Stable' and is currently used for storage and has adjacent double gates onto Fletchers Lane.